This article was originally published in China Daily on August 7, 2018. Click here to access to the original article. 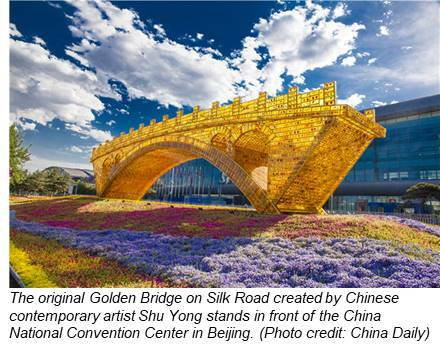 China is backing the Belt and Road Initiative with substantial funds, including USD40bn from the New Silk Road Fund, USD900bn from the China Development Bank, and a significant portion of USD100bn available from the Asian Infrastructure Investment Bank. The Economist has estimated China could put up to USD1trn in the Belt and Road Initiative. Last year, the Asian Development Bank estimated that developing Asia will require USD1.7trn a year until 2030 to meet its infrastructure needs in transportation, power generation, telecommunications, and water supply and sanitation. Developing countries in Asia are now investing about USD881bn a year in infrastructure. The gap between investments required and current investment levels is estimated to be 2.4 percent of the projected GDP of the region between 2016 and 2020. If China is excluded from this estimate, the investment gap more than doubles to 5 percent of the projected GDP of the rest of Asia’s developing countries. China has already provided significant help for improving connectivity and developing infrastructure in countries along the Belt and Road. In Africa, for example, China has helped build the Addis Ababa-Djibouti Railway. This 759-kilometre railway, which began operation on Oct 5, 2016, connects landlocked Ethiopia with Djibouti and hence with maritime trade routes of the Red Sea and Gulf of Aden. Similarly, the Madaraka Express, connecting the Kenyan port of Mombasa with Nairobi, was opened on May 30 last year. The 489-km railway is being extended to Naivasha in northwest Kenya, and there are plans to extend it further to Uganda, Tanzania, Rwanda and Burundi and, perhaps later, to South Sudan and Ethiopia. The Madaraka Express has reduced rail travel time between Kenya’s two most important cities from 12 hours to only 4.5 hours. And train tickets cost less than that for a bus journey, which takes about 9 hours. Equally important, the earlier freight cost per container of USD960 has reduced by half. The railway is also fostering economic development around the stations in terms of real estate, commercial and industrial parks, factories, logistics, and tourism, which in turn are creating additional jobs. Since many countries and observers consider the Belt and Road Initiative a geopolitical strategy aimed at enhancing China’s global standing, it has often faced criticisms and resistance. But once the world, especially the countries along the Belt and Road, realise China has no hidden agenda or ulterior motive, the initiative will progress more smoothly to fulfil its potential of benefiting not only China but all the countries along the two routes. The projects, however, have to be cost-effective, because the countries taking massive loans from China for infrastructure development should be able to pay them back. For example, Ethiopia and Djibouti have purchased credit guarantee insurance for their loans of about USD4bn. And Kenya is confident the new railway will add 1.5 percent to its GDP every year, and hence it should be able to pay back the loan with the revenue from passenger fare and freights charges in only four years. In fact, Kenya is so confident of the cost-effectiveness of the railway that it took another loan, of USD1.5bn, from China in December 2015 to extend the railway to Naivasha. If things go according to Kenya’s plans, which seem likely, it will certainly be win-win for China and Kenya. And that in turn will add to the global acceptability of the Belt and Road Initiative. 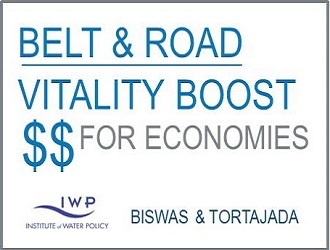 Prof. Asit K. Biswas is the founder of the Third World Centre for Water Management in Mexico, and currently is the Distinguished Visiting Professor at the Lee Kuan Yew School for Public Policy in Singapore, University of Wuhan, China, and Indian Institute of Technology, Bhubaneswar, India. Formerly a Professor in UK, Canada and Sweden, he was a member of the World Commission on Water. He has been a senior advisor to 19 governments, six Heads of the United Nations Agencies, Secretary General of OECD and also to many other major international and national organisations. He is a Past President of the International Water Resources Association, and has held important positions in several major international water and environment‐related professional associations. Prof. Biswas is the founder of the International Journal of Water Resources Development and has been its Editor‐in‐Chief for the past 28 years. He has been the author or editor of 81 books (6 more are now under publication) and published over 680 scientific and technical papers. His work has now been translated into 37 languages. Among his numerous prizes are the two highest awards of the International Water Resources Association (Crystal Drop and Millennium Awards), Walter Huber Award of the American Society of Civil Engineering and Honorary Degree of Doctor of Technology from University of Lund, Sweden, and Honorary Degrees of Doctor of Science from University of Strathclyde, Helsinki University of Technology, and Indian Institute of Technology. Prof. Biswas received the Stockholm Water Prize in 2006 for “his outstanding and multi‐faceted contributions to global water resource issues”, as well as the Man of the Year Award from Prime Minister Harper of Canada, and the Aragon Environment Prize of Spain. In 2012, he was named a “Water Hero of the World” by the Impeller Magazine, and also as one of the 10 thought‐leaders of the world in water by Reuters. He is a member of the Global Agenda Council on Water Security of the World Economic Forum. He is regular contributor to many national and international newspapers on resource and development related issues and also is a television commentator in three continents. Dr. Cecilia Tortajada is Senior Research Fellow, Institute of Water Policy, Lee Kuan Yew School of Public Policy, Singapore. The main focus of her work at present is on the future of the world´s water, especially in terms of water, food, energy and environmental securities through coordinated policies. She has been an advisor to major international institutions like FAO, UNDP, JICA, ADB, OECD and IDRC, and has worked in countries in Africa, Asia, North and South America and Europe on water and environment-related policies. She is a member of the OECD Initiative in Water Governance. She is a past President of the International Water Resources Association (2007-2009) and an honorary member of the IWRA. Editor-in-Chief of the International Journal of Water Resources Development, Associate Editor of Water International, member of the Editorial Boards of the Journal of Natural Resources Policy Research, International Journal of Water Governance, Urban Planning and Transport Research Journal, Frontiers in Environmental Science and IWRA (India) Journal, and editor of book series on Water Resources Development and Management of Springer. She is also editor of Springer Briefs on Case Studies on Sustainable Development and on Water Science and Technology; and member of series Advisory Board of Springer Briefs in Earth Sciences, Geography & Earth System Sciences. She is the author and editor of more than 30 books by major international publishers. Her work has been translated into Arabic, Chinese, French, German, Japanese and Spanish languages.